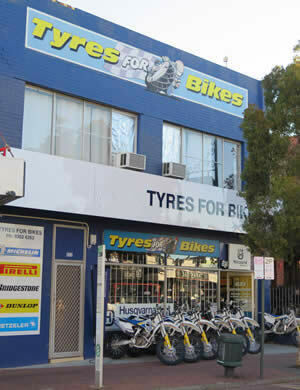 Located right in the middle of the motorbike centre of Perth, Tyres for Bikes is THE place for all of your bike requirements. Our friendly staff with years of hands on experience will ensure that you are given the service that you deserve. With a combined 27 years of experience between two qualified mechanics, we know bikes! Tyres for Bikes is dedicated to giving you a better ride.